If you want to listen to internet radio stations free, you've come to the right place! Best online radio stations are assorted for you to enjoy online internet radios of all categories –music, stories, business, news etc. 5KPlayer is the most outstanding radio player that can enrich your daily entertainment without occupying your eyes. Download 5KPlayer to enjoy radio stations worldwide ranging from talk shows, music, news, politics etc. Why Do We Choose Internet Radio Stations? Some radio stations like Pandora, Spotify will charge you at a low price on a monthly basis, while others like BBC, iHeart, Kisstory won't cost you a dime. Simply with a radio player, a computer, a network connection and a speaker, you can play tons of online radios within a few licks wherever you are regardless of the factors for traditional radio reception. Also, you can quickly get access to the sports game or music you prefer rather than tuning to the right radio station you like which can take a while or longer. Internet radio stations eliminate all boundaries. You can find talk shows, sports, news, music, economy etc across the globe for more exotic enjoyment rather than clinging to local radio stations with same old styles. Is Internet Radio Facing A Big Threat from Those Wireless Providers? Verizon hiked the fee for those grandfathered unlimited data plan users from $29.99 to $49.99 per month in a presumable attempt to coax those granted customers off that tasty cake. 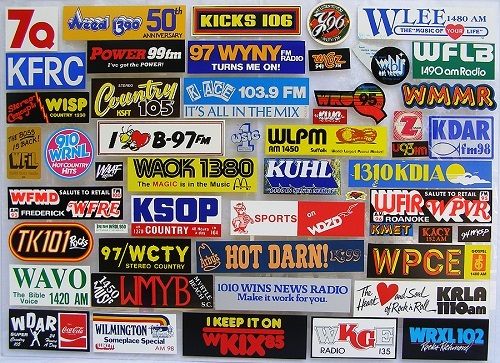 It seems that this move may exert pressure on internet based radio stations as most of their clients are mobile users. However, compared with T-Mobile's unlimited plan of $80 per month, this subtle increase of fee looks just somewhat reasonable for better quality, and even if it has influences on internet radio station subscribers, the range is relatively small –less 1% of costumers . People can turn to satellite radio stations, traditional FM radio stations, or better still, make use of Wi-Fi network or turn off their cellular to prevent overuse of data while listening to online radio stations. Also, do not forget your laptop and desktop, via which, equipped with 5KPlayer, you can sort out almost all online radio stations you like listening. So, there's always a way! 5KPlayer can help you listen to internet radio stations, such as BBC, Heart, Capital, Gold, LBC, XFM, Chill, Kiss, Kisstory, Magic, Kerrang, Planet Rock, Absolute Radio, Classic Roc and streaming radio stations. You can click and choose among the preset internet radio stations or input other online radio station URLs. How to Listen to Internet Radio Stations with 5kplayer? Step 1. 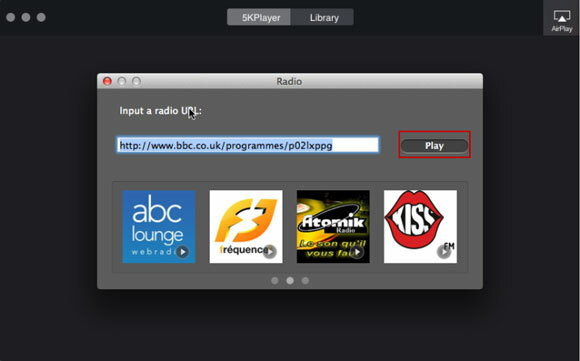 Download the radio player on your Windows or Mac computer and launch it. Note: 5KPlayer supports up to Windows 10 OS, Surface Book/Pro 4 and EI Captain, so you don't need to worry about new OS compatibility. Step 2. Click "Radio" in the main interface to go to the radio interface. 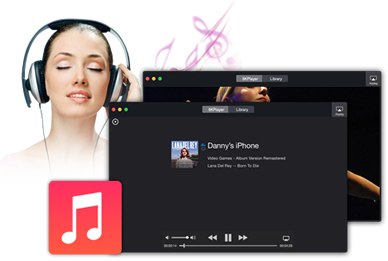 Here, you can notice that you are provided with twelve most popular internet radio stations for you to exploring from news to music. You just need to press the radio station icon to get it started. If your favorite radio station isn't in our preset list, you can open the Chrome browser and tap F2 to view the "Developer's Tool", then copy and paste the radio URL with longest timeline in "Request URL" to the radio frame box. 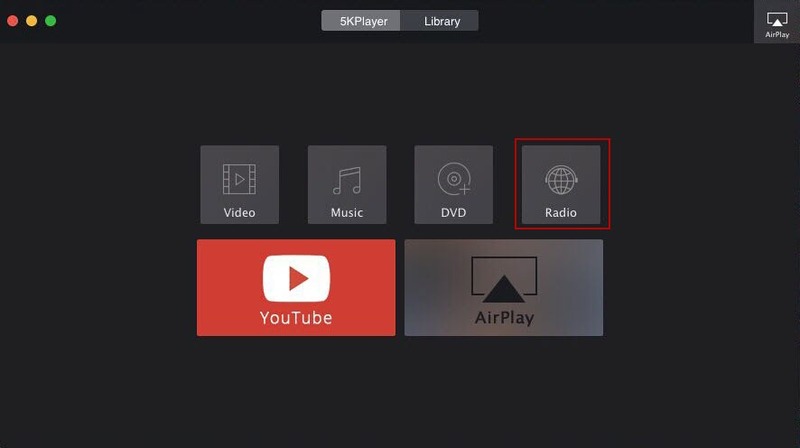 5KPlayer is an all-purpose video music player with a pool of online radio stations connected. With this very portal, the voice of overseas people/culture can be swiftly streamed into your ears. To feel what they feel, to hear what they want to tell and to think what we all concern. For that purpose, 5KPlayer will also help you download videos/music from Stupidvideos, YouTube, Metacafe and other online sites in case the internet speed lags occasionally which won't work for online live streaming.